David Bradford passed away peacefully at his home in Tiburon with his family at his side on Nov. 5, 2013, after a courageous battle with cancer. He is survived by his loving wife of 30 years, Diane Bradford, and his devoted children Michael and Melissa, and daughter-in-law Cristina; siblings Robert Bradford, Peter Bradford (Betty), Deborah Whelan (Gabe), and Jeffrey Bradford of Ketchum, Idaho. He was preceded in death by father Robert Adams Bradford of Boston, Mass., and mother Rosemary Anne Kopmeier of Milwaukee, Wis.; stepfather William Hewlett of Palo Alto, Calif.; his beloved “Nana Lor” of Milwaukee; and his sister-in-law Casey Bradford of Ketchum, Idaho. He was born in Sacramento in 1943 where his father was stationed in the Army Air Corps. After the war, his family moved back to their home in Milwaukee, where his great-grandfather, Frederick Miller, founded the Miller High Life Brewery. David graduated from Milwaukee Country Day School. In 1957 the family moved to Atherton, and he attended Bellarmine College Preparatory in San Jose, and completed a post-graduate year at Winchendon School in Massachusetts, where he served as treasurer for his senior class. 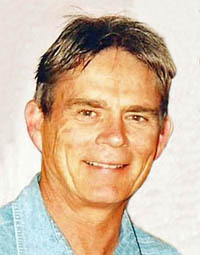 He attended University of Virginia, completing his studies at University of Arizona, in 1968. He spent his summers at the family summer home on Pine Lake outside of Milwaukee, where he enjoyed sailing his “Granny K” class C scow. He served in the National Guard for six years, as an orderly at Letterman Army Hospital in San Francisco. He had a career in commercial printing in San Francisco and Marin County for 30 years, until his retirement. David believed family comes first. He gave his large extended family his time, encouragement, love and guidance. He was a strong presence in his children’s lives coaching softball, little-league practices and serving as president of the Football Booster Club at Redwood High School. David had many close friends who enriched his life and he in turn enriched theirs. He shared a passion for the outdoors, and was an accomplished downhill snow skier, with Sun Valley being his favorite ski town, where the Bradford family maintains a home. For many years, he organized an annual “boys” ski trip to Sun Valley, and in later years, this “boys” trip included his son. David was a parishioner of St. Hilary’s Catholic Church in Tiburon, and Our Lady of the Snows Catholic Church in Sun Valley, Idaho. There was a celebration of David’s life on Nov. 23, 2013, at St. Hilary’s in Tiburon. Final burial of ashes will be at the Ketchum Cemetery in Idaho this summer. In lieu of flowers, donations in memory of David Bradford may be made to Higher Ground, PO Box 6791, Ketchum, ID 83340, or the charity of one’s choice.